A week ago, my husband and I attended the wonderful Gathering of Phyllis Schlafly Eagles in St. Louis, and on Friday morning we heard the horrible news of the FBI pre-dawn raid on Roger Stone in Florida. 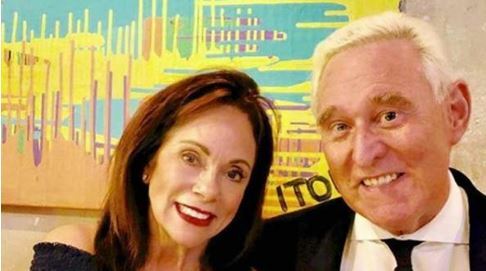 That evening while chatting with Kitty Werthmann (please watch her video), she made a haunting statement about the abusive arrest of Roger Stone, “This is the Gestapo!” Kitty knows only too well what the Gestapo and the Stormtroopers look like. Kitty Werthmann was born in Austria and lived under Hitler’s rule for seven years and then spent another three years under Soviet Communist rule. She has lived real history and now she is seeing some of those same Gestapo tactics in her adopted country. The Gestapo was Nazi Germany’s feared secret police force. Nazi is short for the National Socialist German Workers’ Party. During World War Two the Gestapo was under the direct control of Reinhard Heydrich who reported to Heinrich Himmler. The Gestapo controlled all the police units within Nazi Germany. They acted outside of the normal judicial process; they had their own courts and effectively acted as judge, jury and frequently executioner. When I think of how Paul Manafort has spent eight months in solitary after the middle of the night Gestapo tactic raid on his home, “executioner” becomes just as factual. The Gestapo’s main purpose was to hunt out those considered a threat to Nazi Germany. They operated without any civil authority and were allowed to strike without worrying about consequences. The same goes for Robert Mueller’s FBI Stormtrooper raids. As a young girl, Kitty Werthmann saw all of this with her own eyes, and now she’s seeing it again. Please help Roger by going to StoneDefenseFund.com. On Friday, 25 January 19, twenty-nine FBI agents in bullet proof protective gear and armed with submachine guns showed up pre-dawn at Roger Stone’s home. There were seventeen vehicles, two of which were armored, two boats behind Roger’s home and one helicopter was circling overhead. Link Only twelve Navy Seals were dispatched to eliminate Osama bin Laden. Stone is not a drug dealer, nor is he a terrorist. He is charged with obstruction of justice and making false statements to the special counsel. Significantly, the alleged false statements specified in the indictment were about conduct, which, if admitted, was not criminal. This savage and merciless attack extravaganza was leaked in advance to the chief press arm of the Democratic Party, CNN, so they could be there to film Roger and his wife standing outside on a cold Florida morning in their nightclothes and bare feet. The same thing was done to Paul Manafort who is dying in prison and is culpable for wrong doings, but so are many others on the left, including the Podestas who were never charged. Conrad Black’s New York Sun Article, Mueller’s Danse Macabra at the Arrest of Stone starts out with this statement, “Joseph Welch’s famous question of Senator Joseph R. McCarthy at the Army-McCarthy hearings of 1954: “Have you no sense of decency, sir? At long last, have you no decency?” This statement is even more apropos for Robert Mueller and his gang of thugs headed by Pitbull Andrew Weissman. The President needs to ask this question of the FBI, and especially of FBI Director Wray. He should have immediately called Wray into his office and demanded who authorized this disgusting display of government tyranny. This pre-dawn raid was done purposely for media consumption, for a negative impact against our President who is a 40-year friend of Roger Stone, and to instill fear not only in those who would work for an outsider like Donald Trump, but also to let the American public know the full power of the FBI. The out-of-control Nazi-esque behavior by the Department of Justice and the FBI needs to be curtailed, but I see no end to it. FBI Director Christopher Wray should hang his head in shame. At a time when he should be restoring the FBI’s reputation after Jim Comey, Andrew McCabe, Peter Strzok, Lisa Page, Bruce Ohr and many others tarnished its image as our country’s premier law enforcement agency, he allowed his agents to do Mueller’s bidding and run around like KGB thugs. Wray is a disgrace to this country. Senate Judiciary Chairman Lindsey Graham sent a letter to the FBI Director on Wednesday, January 30th, demanding the FBI brief the Committee on the pre-dawn raid of Roger Stone. Graham asked the FBI to provide the Committee with a briefing on Roger Stone’s arrest by no later than Tuesday, February 5, 2019. Criminal defense attorney David Oscar Marcus argued at the Hill that, in light of the charges, Stone should have been afforded the opportunity to self-surrender. Of course, he should have. This theatrical raid was excessive and unnecessary. In a flurry of televised appearances after posting a $250,000 bond and being released on Friday afternoon, Stone referred to the FBI actions as “theatrics” and later claimed the raid was ” an attempt to poison the jury pool.” In a statement, he described his wife and dogs as being “terrorized” by the method of arrest. Stone confirmed to The Hill that he hired Florida attorney Bruce Rogow as his lead lawyer. Rogow recommended that Stone take a lie detector test, and he ended up taking two – and passed them both. He says he is preparing for war against the Robert Mueller witch hunt. President Donald Trump responded last Saturday to news of his confidant Roger Stone’s Friday indictment with a list of Democrats and justice officials he wants to see in trouble for alleged lying. “If Roger Stone was indicted for lying to Congress, what about the lying done by James Comey, John Brennan, James Clapper, Lisa Page and lover, James Baker and soooo many others? What about Hillary Clinton to FBI and her 33,000 deleted Emails? What about Lisa and Peter Strzok’s deleted texts and Anthony Weiner’s laptop? Much more!” Trump wrote Saturday. Texts between the two former FBI employees, who were having an affair, show they said “we’ll stop” Trump from getting elected. The FBI “failed to preserve” five months’ worth of text messages between Strzok and Page. The FBI destroyed evidence. In my book, that’s obstruction of justice. President Trump is right. James Clapper committed perjury and the five-year Statutes of Limitations was allowed to run out. What in heaven’s name is going on when we have to have a Congressman introduce a law that would make sure all people are equally charged with wrongdoing? Obviously the Obamaites are still in charge in the DOJ and are making sure their acolytes go free and only those who support President Trump are charged. Robert Mueller has a 30-year evil modus operandi we should by now all be familiar with. Louisiana Senator John Milkovich wrote about Mueller in his book, Robert Mueller Errand Boy for the New World Order. Congressman Louie Gohmert wrote the 15,500 word expose on Mueller entitled, Mueller Unmasked. Gatestone Institute says Congress must act to prevent these abuses from recurring. But will they? The DOJ has not been cleansed of the Obama supporting Marxists who control the intel community. The list grows of honorable patriots who have supported our President and have had their reputations and finances destroyed. Americans must support the truth. It means our funds need to help these patriots. Please help Lt. General Michael T. Flynn at https://mikeflynndefensefund.org/ and Roger Stone at StoneDefenseFund.com. PREVIOUS POST Previous post: Conservative Patriotic America First Writers Wanted! NEXT POST Next post: Rush Limbaugh Show Advertising info.